Both licensed practical nurses and phlebotomists might draw blood from a patient. You’ve known for a long time that health care is your chosen career direction, but it’s taken a while to sort through the possibilities. You’ve narrowed it down to two choices: licensed practical nurse or phlebotomy technician. The terms more often used for these two occupations are LPN and phlebotomist. 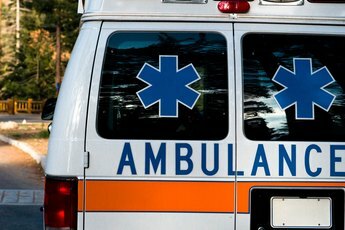 Although either might draw blood from a patient, they also have some significant differences in education, salary and job duties. Licensed practical nurses -- who are called licensed vocational nurses in some states -- must work under the supervision of a doctor or registered nurse. 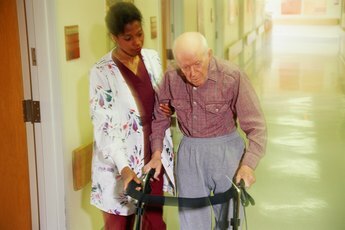 They provide basic nursing care in hospitals, skilled nursing facilities, senior care homes, veterans’ facilities, clinics and doctors’ offices. Each state has different regulations regarding the scope of practice for LPNs; in some states, for example, they may give blood and intravenous solutions. In most states, LPNs can administer medications except for direct intravenous medications. LPNs can also draw blood in most states. Phlebotomists collect blood samples from patients for laboratory testing. They may perform this task by inserting a needle in a patient's vein or by using a sharp lancet to prick the finger of an adult or the heel of an infant. Phlebotomists usually work in hospitals, clinics or medical laboratories. Some phlebotomists work in blood banks, where they collect blood for transfusions. 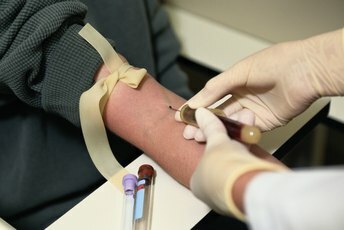 Phlebotomists may also prepare blood samples for testing with machines called centrifuges that spin the blood until it turns into layers of different cells. The educational requirements for LPNs and phlebotomists vary from one state to another, but generally, LPNS attend a one-year program and receive a certificate. LPNs must also pass a national exam called the NCLEX-PN and must be licensed in all states. Phlebotomists usually need only a high school diploma or GED and are often trained on the job. Some colleges or career schools offer certificate or diploma courses in phlebotomy. States have different requirements for phlebotomists. Most states do not require either a license or certification. California, however, requires both. Phlebotomists and LPNs may both have some flexibility in hours as well as work settings, as many employers need 24-hour coverage for these positions. LPN job growth is expected to be close to 22 percent between 2010 and 2020, according to the BLS, and the average salary for an LPN in 2011 was $42,040. Although American Medical Technologists, a health professions certification agency, says phlebotomists are in high demand, the BLS expects only 13 percent job growth for the same period -- close to the average growth rate for all jobs. 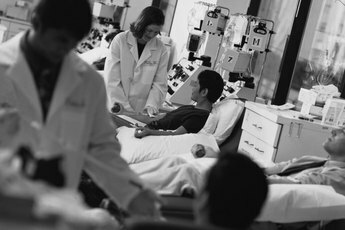 The BLS groups phlebotomists with other health care support workers, who earned an average annual salary of $32,240 in 2011.